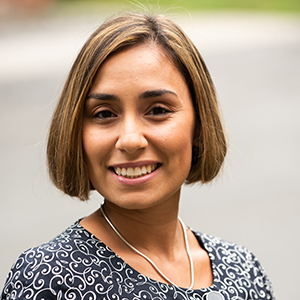 Elizann Arizmendi - Scarsdale Premier Insurance Agency | Advocate Brokerage Corp.
Elizann Arizmendi is the Personal Lines Marketing Manager for Advocate Brokerage. When Elizann joined Advocate brokerage in 2014, she brought over 16 years of insurance experience with her. Elizann began her career in the insurance industry at a young age working for her family at a small storefront agency. When asked about her work in the insurance industry, Elizann jokes “I didn’t find insurance, insurance found me.” She left the comfort of the family business in order to learn more about the industry spending time at the NIA group, the Marsh & McLennan Agency and most recently Brown & Brown. She enjoys working with customers, getting to know them, and developing comprehensive insurance programs that encompass all of their risk management needs. Her personal philosophy on insurance, “to make insurance easy for the customer” fits very well with the Advocate Brokerage values and was a key reason Rosalyn Binday founded the company back in 1969. A resident of New Rochelle, she feels it is important to give back to the community in which she was born and raised. Elizann has devoted her time teaching Spanish Salsa dancing for a Bronx based non-profit agency that works to keep youth in the Bronx off the streets. Elizann recently earned her Chartered Private Risk and Insurance Advisor (CPRIA) Certification through Private Risk Management Association (PRMA), and she is always taking advantage of learning opportunities so that she can share her knowledge in the ever-evolving world of insurance.